A torrent of hype began to flow forth upon the announcement and following details of Quantic Dream’s Heavy Rain and like most original thought or ideas it met cynicism as well. Granted, David Cage’s brainchild isn’t the first to set out to do what he’s trying to accomplish — 1983’s Dragon’s Lair pioneered the concept and Cage’s very own Indigo Prophecy (Fahrenheit) had its fans in 2005 -but Heavy Rain precipitates an immeasurably more appealing incarnation of this ambiguous genre. Subsequent to the game’s release a deluge of complaints arose from many a game reviewer asking whether it was their job to review an ‘interactive drama’. Whether Heavy Rain is a game or not is irrelevant considering it’s salient feature, as opposed to films, is interactivity, which is the very reason video games continue to immerse and impress me more than their motion picture counterparts. Thus there’s no reason one of them shouldn’t stray further in the direction of film, which is dependent largely on narrative, if it retains that interaction. Please forgive that introduction: a few meteorological puns were just too tempting. But I digress, it’s fair to say Heavy Rain does an admirable job at presenting a compelling psychological thriller in regards to the story alone; a film adaptation adorned with the same direction wouldn’t be revolutionary, but would undoubtedly beat out many of Hollywood’s usual offerings. 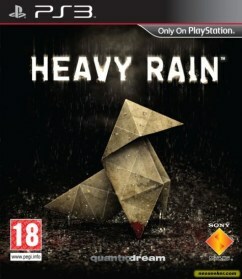 In short, Heavy Rain follows the unfortunate experiences of four main characters with the title of main protagonist perceived by most to fall upon the father, Ethan Mars who, while suffering mental breakdown, is desperately trying to save his son from the mysterious and remarkably creative serial murderer, dubbed the Origami Killer, who abducts children and leaves the unmarked bodies to be found 3 to 5 days later. The player’s role, and by extension, the characters’, is to gather evidence and track down the killer. Your given selection of characters is as varied as the way they go about their tasks; Private Investigator Scott Shelby, former policeman, uses his cop knowledge and contacts, while Madison Paige finds a number of ways to be exploited sexually and physically and FBI agent Jayden Norman traces the killer more methodically and utilizes his impressive, yet seemingly out of place virtual reality sunglasses, to examine the forensics. The addition of this technology is odd given the setting of the very near future, and the absence of any other kind of reference or theme of high-tech gadgetry anywhere else in the game, but it is nonetheless, impressive, and I would be perfectly happy to play a spin off game entirely devoted to the character. Heavy Rain is set in an unnamed east coast city, among the abandoned warehouses and broken homes of a poor industrial and residential district, and draws on the melancholic and sinister atmosphere which a few films have delved into, but very few, if any, video games. Films like 1995’s classic Se7en immediately come to mind — the torrential downfall outside makes even the quiet, drab and dismal interiors of motels and vacant cafÃ©s seem somehow cosy. Quantic Dream presents the player with a number of possibilities for suspects — perhaps too many red herrings to throw you off the scent, but it firmly cements itself into the crime ‘who dunnit’ thriller genre. The gameplay falls into one of two categories at any one time; more low-key scenes allow you to explore your surroundings and pick up or use almost anything by using directional movements, though sometimes, with only arrows marking actions, you’ll find yourself doing the exact opposite of what you want, closing the drawer you just opened instead of taking something out of it — hardly game-breaking, but perhaps a tad frustrating when you’re deep in your thoughts, exploring an environment which otherwise feels strikingly real. To qualify more difficult and even distressing actions, the game asks you to hold down a long series of buttons — having to call my friend over to help me complete the sequence on one occasion, to avoid getting into an awkward Twister-like position with my hands, was actually quite fun and only enforced the gravity of the situation. Then there are the quick-time events, a mechanic many other developers thought dead, which are generally utilized for more high-octane/action scenes that require you to press sequences of buttons, configure analogue stick directions and shake the controller on cue. It can be genuinely satisfying when you slam down the controller to hit an attacker over the head — I’m no huge fan of motion controls but in the instances the movement required successfully imitates the action that’s carried out, you feel a real sense of gratification and the game allows you to inject real emotion and immerse yourself even more so. On the other hand, failure to complete these actions in time may cause your character to suffer dire consequences, and so, as you can imagine, it can be more than slightly aggravating if you fail to spot one of the not-highly-visible symbols denoting the buttons you must press. In addition to this, I sometimes found that it failed to register certain analogue stick shapes. However most of these quibbles can and should be justified as part of the difficulty and injustices that make up our lives and pale into significance in the heat of the heart-racing action anyway. 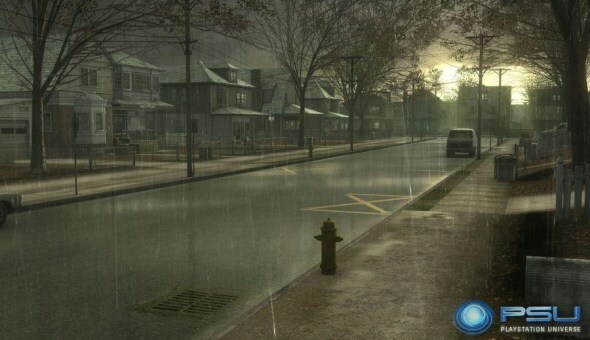 It may seem a cop out to account for what could be construed as the game’s failings by relating it to the nature of real life, but once you play the game, you’ll quickly see that that is just what Heavy Rain is trying explore — this isn’t the sort of game which teenagers will brag about having beaten to their friends. There are no points or levels in Heavy Rain’s dark world. The narrative continues regardless of your efforts much like life; and there are no saves or lives which is, if nothing else, an interesting concept and so the gravity of your decisions and mistakes is felt all the more (nothing like a game to make you remember you’re living a pathetic, hopeless existence!). But, in all seriousness, it’s clear this game won’t appeal to everyone; it’s not for letting off steam after a boring day in the office, but if you enter it in the right mindset, there’s a genuinely interesting rollercoaster experience to be had, which can be shared with the characters in game and anyone watching you play — if there’s ever a game that a non-gamer might be even slightly interested in, it’s this without a doubt. Visually, Heavy Rain is stunning, especially in terms of character models and facial expressions, and, as you’d hope, it gets wetness and damp right too. Some environments could be more polished but the overall look is impressive — it excels in the details that create the dreary world for our unfortunate characters, whether it’s the stains on the walls or small objects lying about; one scene in particular, that took place in a convenience store, amazed me — almost every single product on all the shelves was different and painstakingly created. The soundtrack is exactly as you’d expect, and while it doesn’t stand out, it blends in well and compliments the scenery and emotions — plenty of silence also leaves you to revel in your thoughts while producing that eerie ‘someone’s watching’/’something’s going to happen’ effect. The voice acting varies from awkward to outstanding — some characters, particularly Jayden and a few of the NPCs are a little unimaginative and every now and then you get some clumsy Hollywood style acting and odd pronunciations, but it’s certainly not worth missing out on the whole experience for. For me, the oddest lines were those linked to the thoughts system whereby you can hear what your character is thinking at any given time, “I should have a glass of orange juice” presented in a casual tone just seems out of place. Likewise, the script isn’t exceptional, but it holds its own, and can, as many forums across the internet have told us, cause those more disposed to a little weep to end up having to wipe the tears off their controller. The animations are spot on and successfully capture the unique body language of each individual, which is undoubtedly the result of basing the in game appearance of characters directly off the motion-capture (and voice) actors — Madison Paige and Scott Shelby arguably giving some of the best performances. The actual story itself, as Cage concedes, starts off very slowly — we’re talking brushing teeth and making dinner – but Heavy Rain deals in emotions like depression, rarely found in other games, and in order to create a crescendo and impressive climax it’s necessary to build up a sense of familiarity with the characters and context by carrying out admittedly mundane tasks at first. Therefore it’s worth saying that it is imperative to persevere with this game, as some of the final scenes are both spectacular and disturbing. The identity of the killer understandably irritated some; it isn’t the most ingenious or subtle plot, but by the time this revelation pops up, you’re so engrossed in the overall story that you’re almost irreversibly attached to the game, the characters and matters at stake. 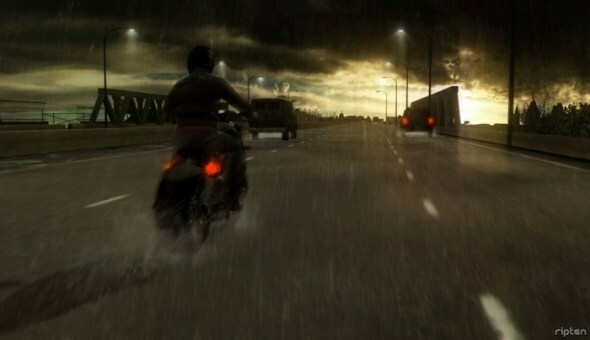 As advertised, Heavy Rain offers a fair amount of choice, or if not as overt as that, at least quite a few ways the game can play out depending on the success of each character — in every instance the killer is stopped, but every other aspect contains varying degrees of success — whether he’s caught and whether your main characters live or die. Similarly, no matter your decisions, the killer is always the same — some more negative reviews protested at this, claiming it negates any chance of re-playability. In terms of playing through again immediately, they’re essentially right, but as far as I can tell, I don’t think it was ever intended to be restarted the moment you finish it — much in the same way you wouldn’t flip back to page one of any given classic novel and start again the moment you’ve finished it. It’s great that some games have that sort of longevity incorporated, but I challenge any game to do that and construct such a complex and emotionally driven story of the kind that Heavy Rain achieves. One of the aspects I found to be most interesting is the fact that you’re thrown into the shoes of your given characters and not given any prologue, which causes you to not only bond with them more, but be constantly trying to figure out who they are by the clues you pickup as you play. Not knowing the exact details of your protagonists also allows Quantic Dream to throw up a few surprises here and there to keep it fresh — some feel cheated by this, but it has to be compared to films and books where this method is often used very effectively, producing some great stories. The overarching progression of the story, setting aside the lengthy introduction, is brilliantly paced as you hop from character to character, seeing how every event affects each of them. It’s an old clichÃ©, but it will have you on the edge of your seat for hours. Some of the quick time events happen mighty quickly so you’ll find your instincts kick in, attempting to nudge the plot to branch out in the direction you want — expect difficult choices and conflicting feelings, for Heavy Rain tackles these expertly. You’ll likely question yourself over decisions; “Did I make the right call?” and try to vindicate yourself “It was spur of the moment” — no other game has accomplished something quite like this. Some decisions and outcomes of QTEs don’t have enormous effect on the story, this isn’t an RPG, and doesn’t attempt to emulate one, but they do cause a notable ripple through conversations and events and any given player’s experience will be unmistakably different in its final outcome, to others. In the end it undeniably succeeds in what it set out to do and consequently the art of the storytelling and direction shine through as its dominant feature — the fluctuating control layout only substantiates the game’s focus on the plot and you never feel like you’re watching a really long movie or playing a sub-standard game — it truly is an experience unto its own. Undoubtedly, there will be those who say it rips off movies like Saw, but it would be naÃ¯ve to think such concepts haven’t been used in many iterations over the years, nevertheless, I can guarantee you haven’t played (aside from Indigo Prophecy) or watched anything like it. 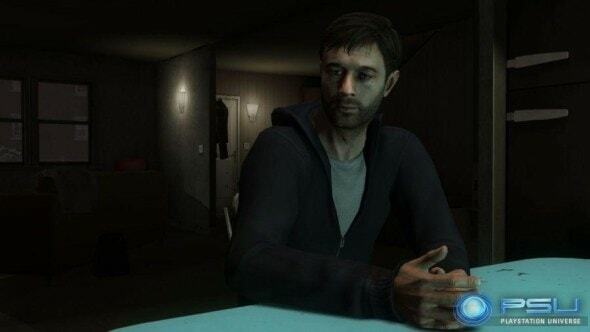 There are a few threads in the plot which aren’t explicitly explained, but David Cage maintains these are purposefully left as such to act as MacGuffins, un-clarified elements to grab the player’s attention and leave them with something to ponder over having finished the game — whether or not you consider this to be bad storytelling is personal opinion. In any case, small matters like this are overshadowed by the intricate and refreshingly unpredictable plot line and tremendous atmosphere. Like any other game it has its faults and certain presentation features, like voice acting, are going to be held under more scrutiny due to the nature of the genre in contrast with traditional games, but if you own a PS3 this is a must play and it’s great to support such innovation even if it hasn’t, in your opinion, perfected itself quite yet (anything to stem the tide of stale first person shooters!). The very fact that it’s already had an effect on the gaming community, spawning various spoofs and sketches, is a positive thing and although it isn’t utterly groundbreaking it will surely have its place in gaming history. In summary, Heavy Rain is a unique, well constructed and, dare I say, emotional experience that is paralleled by no other game. Its originality and distinctive approach to the video game and film medium make it worth talking about, but it is the absorbing yet harrowing tale that makes it worth playing. A very good 4 out of 5. This has been a guest post from Toby Edwards – The creator of My Two Senses gaming blog, be sure to take a look and check it out!